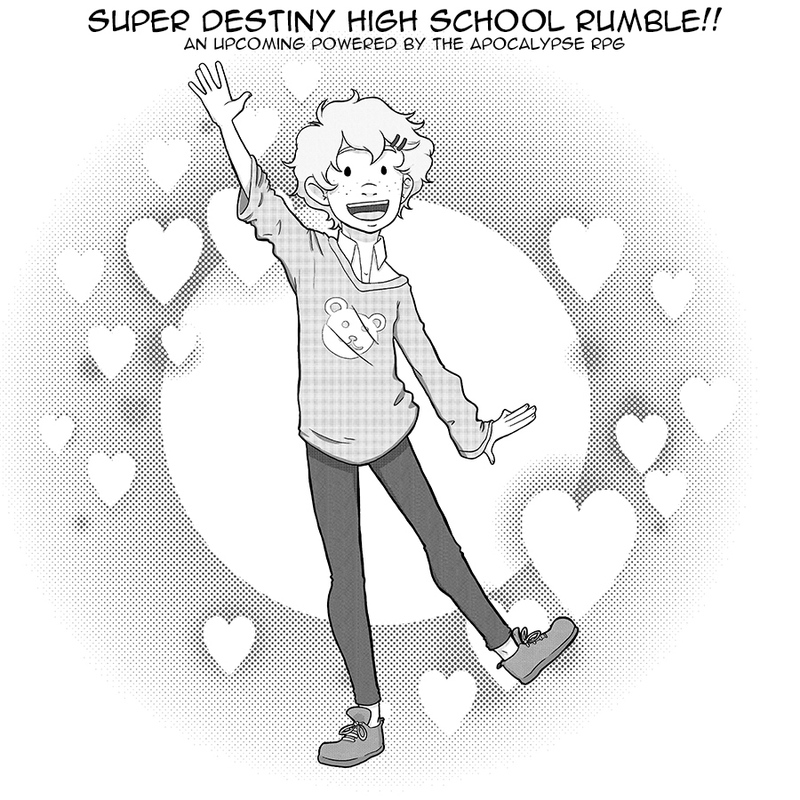 We’ve decided to go full speed ahead on publishing Super Destiny High School Rumble! That means Kickstarting the project (aiming to launch in February 2019), doing a pdf and print version, and running games at conventions. We’ve now got Amanda working on art for the book (this is the Adorable), Jessica writing sections on how to play and how to run a game, several more playtests lined up with different groups, and various promotional stuff in the works. It’s up to a team of anime high school students with super-powered secret identities to save the world! Mix and match your student type with your supernatural destiny. Will you play a sports prodigy who is secretly a monster? The class rep who transforms into a costumed hero? The adorable one who escaped a mad science laboratory? The delinquent who is also otherworldly royalty? Proclaim your feelings, join a school club, seize your destiny, form bonds with your classmates, keep up with homework, and combine your powers to fight legions of minions, build up powerful limit breaks, and face down epic foes. The multiverse is at stake, and prom’s tomorrow!